tarot – All things metaphysical. I view my decks as some might view their boyfriends/girlfriends in a polyamorous relationship. One won’t do, but I want a few select lovers. I think if you have too many, you can’t give them all the love and attention they require, nor can they give you what you require. I know collectors and tarot enthusiasts who have hundreds of decks, but this will never be me. I want less than 5 – 10 close friends on my shelf. Still, it is so exciting to receive a new deck. Whenever you get a new tarot deck, you should immediately get to know it and attempt to bond with it. A tarot deck is a close friend! This probably seems crazy to people who aren’t into tarot, but decks are a sacred thing that you need to bond with and nurture in order to have a good relationship. Hold it as much as possible. Shuffle it in my free time. Sleep with it under my pillow. Take it with me everywhere I go. Burn sage and let the smoke cleanse it. Thank it for what it will teach me. Ask it questions and learn about it. 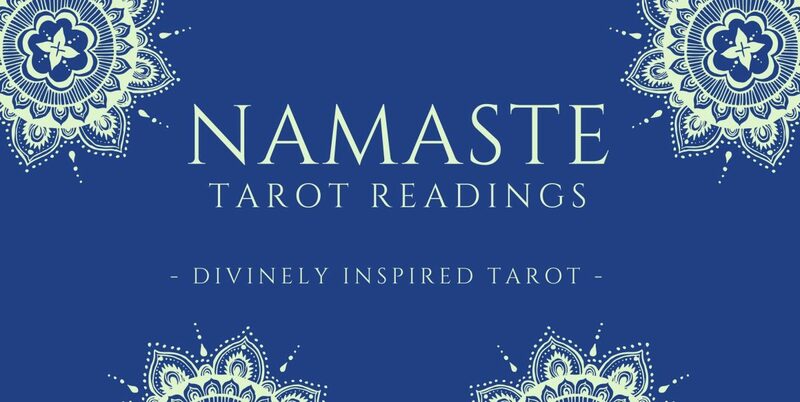 What kind of tarot deck are you? What card sums up your personality? I am a deck of new beginnings that are prosperous and fruitful. I enjoy helping people succeed with their finances and material security. What issues/areas of life do you specialize in? I help you see things clearly and see the facts. I am very knowledgeable but I can be blunt. When your emotions muddle your thoughts I will help you cut through the nonsense and see what is really going on. How can you best help me? I can help you when you are sad and feeling heartbroken. I will lift you out of your gloom. A tarot reader needs to be strong and determined to see what is being revealed. Working with the tarot can be challenging and a tarot reader must have a strong will to become a master. How do you see our relationship? Ouch! You see our relationship as a burden? I promise to go easy on you and to take your advice the first time you give it so you won’t feel so overwhelmed at the thought of working with me. I look forward to a long, prosperous relationship with the Wild Unknown. I hope you find the perfect deck (or decks) to bond with on your tarot journey!